The 2017 vintage was, on the whole, a dry one with a winter characterized by an absence of rainfall and below average temperatures. A late frost during the month of April, particularly in the vineyards located at lower altitudes, damaged the vines and caused a loss of production. The warm and dry weather of the summer months favored an early ripening of the crop and guaranteed grape bunches which were perfectly healthy. Drip irrigation was utilized to combat the lack of water visible in certain vineyards. The important, although isolated, rains of late August favored, particularly in late-ripening grape varieties, the achievement of an excellent ripeness while preserving the characteristic freshness and fragrance of the grapes. The constant and habitual attention to all of the phases of the vine and the grapes and the careful and timely picking guaranteed the harvesting of healthy grapes of excellent freshness, a crop capable of giving wines of much balance between the alcohol and the acidity. The picking of the Sauvignon grapes began towards the second week of August, while the Sémillon harvest terminated during the last days of the month. The moment to pick and Sauvignon Blanc and Sémillon was chosen by searching for the balance between the accumulation of sugar in the berries and the maximum expression of varietal aromas. The grape bunches, harvested entirely by hand, went immediately to the cellars and were chilled on a refrigerated conveyor belt which, lowering the temperatures before pressing, preserved the characteristic varietal aromas. After a soft pressing, the must, conserved at a temperature of 50° Fahrenheit (10° centigrade) to favor a static settling of impurities, went into stainless steel fermenting tanks and fermented at temperatures held to maximum of 61° Fahrenheit (16° centigrade). After this phase, the wine was conserved at a temperature of 50° Fahrenheit to block the malolactic fermentation and maintain the characteristic aromas and flavors. The two varieties were then blended together to meld the fresh, savory, and fragrant character of the Sauvignon and the soft and tropical personality of the Sémillon. The vineyards, with soils rich in marine fossils, utilized for the production of Conte della Vipera are located between 820 and 1150 feet (250-350 meters) above sea level The wine takes its name from the first proprietors of the Castello della Sala, and the label carries a drawing of the 15th century Saint John (San Giovanni) chapel situated on the property. The first vintage of Conte della Vipera to be produced was the 1997. The 2017 Conte della Vipera is straw yellow in color with greenish highlights. On the nose, the wine offers a striking bouquet of ripe fruit: peach, grapefruit, and pineapple. The palate is ample, enveloping, balanced, and persistent, and well sustained by a bracing and savory freshness. The wine is produced from a careful selection of Sauvignon Blanc and Sémillon. Conte della Vipera is a tribute to the original owners of the castle and its label shows an illustration of San Giovanni’s chapel (Saint John), a small chapel located on the estate. 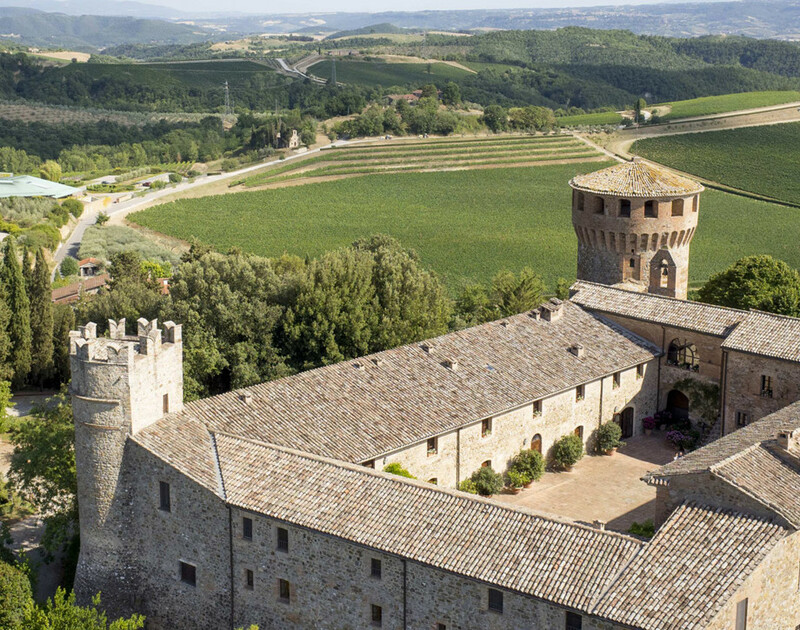 Castello della Sala is located in the Umbria region, not far from the Tuscan border, about 18 kilometers from the historic city of Orvieto. 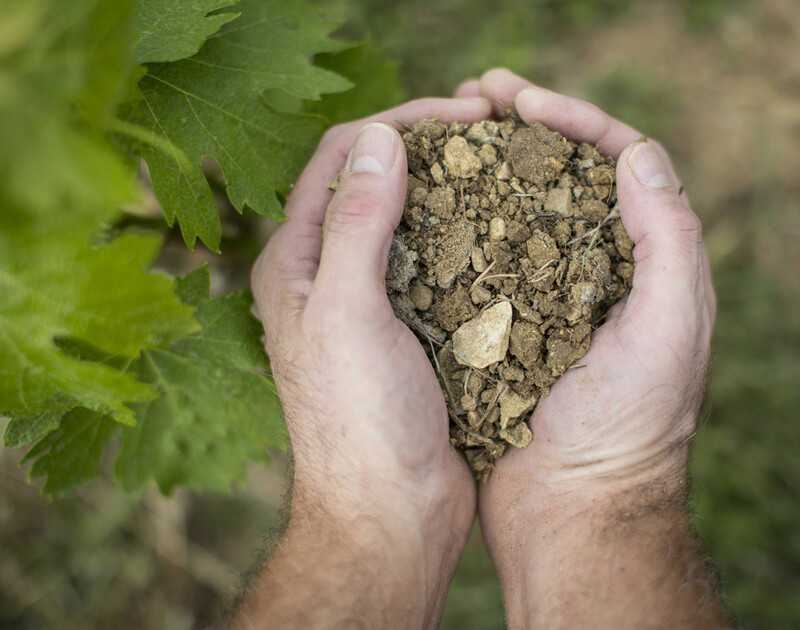 Soils rich in sedimentary deposits of marine fossils with veins of clay.